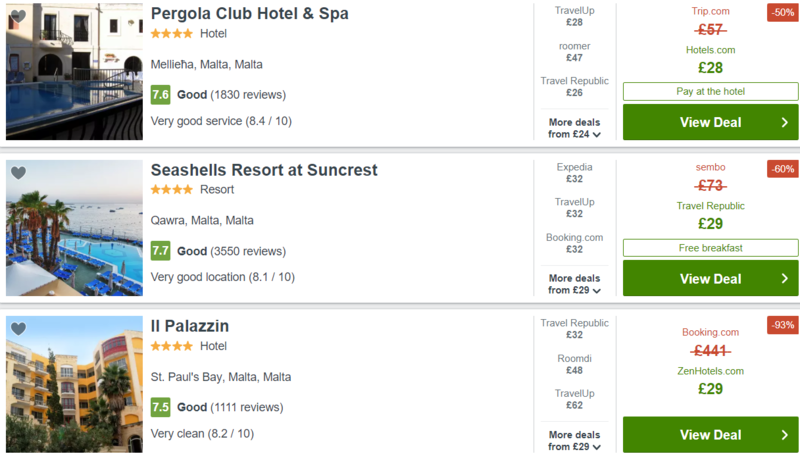 A 6-night trip to Malta for just £79 per person (flights & 4* hotel included)! Any takers for a December trip to the sunny island of Malta? For just £79 per person, you can get a return flight from London Stansted and spend 6 nights in a local 4* hotel! Previous article3-night trip to Mykonos for just £121 (flights from London & 3* hotel included)! 3-night trip to Mykonos for just £121 (flights from London & 3* hotel included)! Spend a whole week in Kefalonia for just £84, with flights & accommodation included! Fly to Cabo Verde from Manchester for just £190 return! One-day trips to Copenhagen for a fantastic £10! Return flights to Sri Lanka from Manchester for just £309!